Benjamin and Joseph in their new pet stroller. Purchaser agrees by signing this contract, the above named kitten will be kept indoors and will not be allowed outdoors. The only exception to this clause is to allow a kitten/cat to be enclosed in a high quality, heavy steel framed, protected, Pet Stroller for the use of strolling your kitten/cat in order to provide outdoor fresh air, entertainment, and brain stimulation. The kitten or cat can not be left unattended in the Pet Stroller. If it is found that the kitten/cat has been allowed outdoors beyond the exception clause, the Health Guarantee found in this contract will be automatically voided." For our current adoptive parents who would like this addendum as part of their Sales Contract, please contact us. We would be more than happy to provide this addendum to the Sales Contract. When choosing a Pet Stroller, please be cautious of the weight limit. Please also make sure it is of heavy gauge steel construction and is not flimsy or weak. Please be cautious where you go and make sure you and your pets are adequately protected. 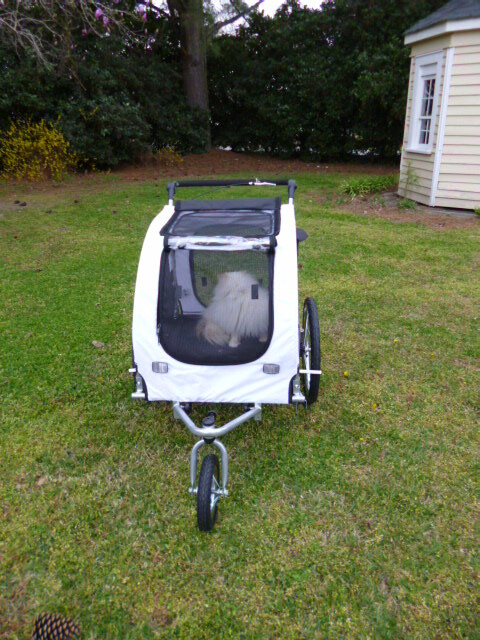 We have one small dog and this Pet Stroller is an ideal and safe way for us to get out walking as soon as Spring arrives. 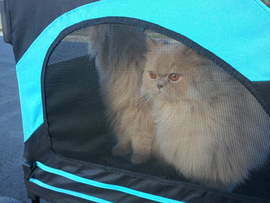 We also take it camping so that our babies can enjoy the outdoors along with us. Since most Pet Strollers come with flaps or windows that close, this is ideal as the kittens will be less exposed to viruses in the air. 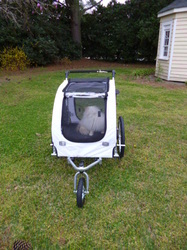 Our pet stroller is an Aosom Elite II pictured and is a bike trailer as well as a stroller and jogger. Both of the strollers featured below come with suspension, a nice weight limit, and both fold down. It includes brakes and the handle bar does fold down, so we are hoping that this can go directly into our SUV. Just click on our Amazon Affiliate link below to purchase it through Amazon. 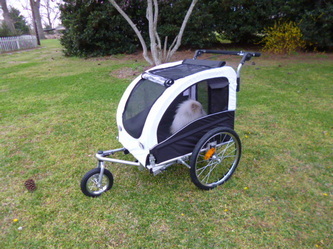 Since this is an Affiliate link, if you buy the stroller from the link, our Cattery will get a small commission. You do not pay anymore by buying it from our link. We use this small commission to buy additional toys and supplies for our kittens and cats. It is one way our families and our fans can easily support our Cattery and no additional costs to them. 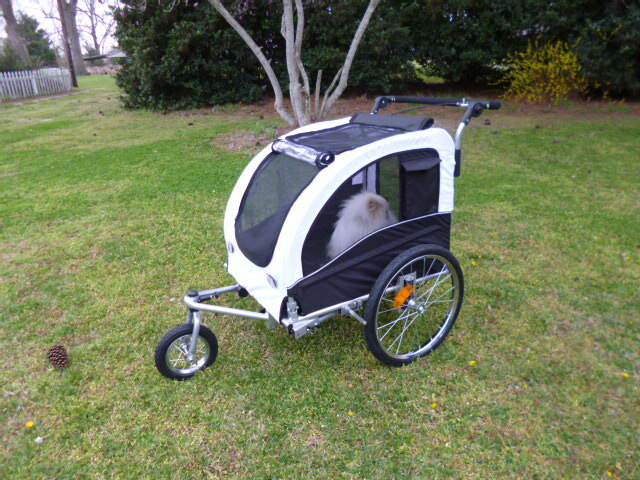 We are so pleased with our Cattery Pet Stroller. When we unpacked our stroller, it was a breeze to set up. We were very impressed with the quality. It rides smoothly and is large enough for 4 to 6 cats. On our first walk around the block, someone stopped us and asked about it. Pet Strollers are a wonderful idea.